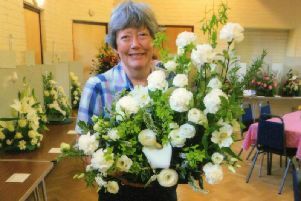 Beeding and Bramber Village Hall will be the beneficiaries of the show, which will take place over the weekend of November 3 and 4. On display at the autumn exhibition will be well over 100 competition prints from club members. In addition, some members will be displaying selections of their own work in whatever format they choose. Many of the prints on show will be available for purchase. There will also be a room dedicated to projected photos, where around 600 images will be projected in a professionally-staged slide show for a seated audience to come and go as they please. Alan Cross, Steyning Camera Club’s publicity officer, said: “This is the first year of what we hope will be a regular feature in the club calendar. The exhibition is open from 11am to 4pm on both days at Beeding and Bramber Village Hall, High Street, Upper Beeding. Entry is free, and refreshments will be available.